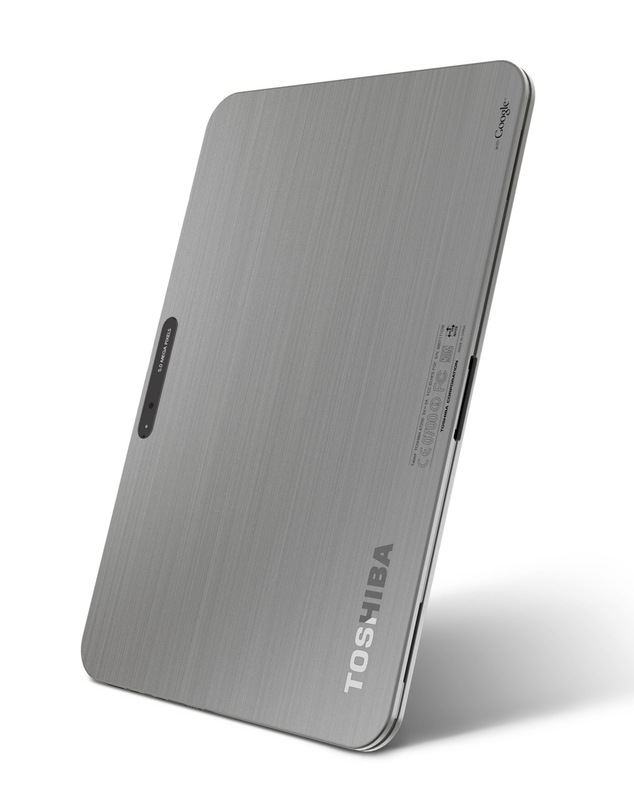 Toshiba's Digital Products Division (DPD), a division of Toshiba America Information Systems, Inc., revealed plans to introduce the Excite™ X10 tablet, the world's thinnest 10-inch tablet, to the U.S. market. Measuring in at just 0.3 inches (7.7mm) thin and weighing just 1.18 pounds (535g)1, this next-gen tablet offers a premium design with essential ports and features needed for a more complete experience. 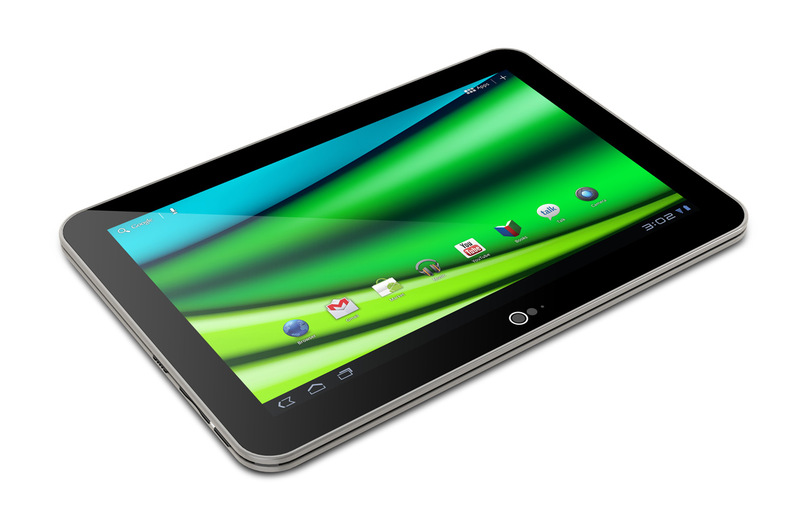 The Excite X10 tablet will be available in the U.S. starting in the first quarter of 2012. Ultra-thin, ultra-light and ultra-powerful, the Excite X10 features a high-resolution 10.1-inch diagonal AutoBrite™ display2, offering an ideal canvas for browsing and entertainment. Designed for durability and style, the device also features a high-quality magnesium alloy surface and scratch-resistant Corning® Gorilla® Glass display with an anti-smudge coating for greater resiliency. "Excite X10 pushes the boundaries of what a thin and light tablet is capable of, delivering elegant styling without sacrificing features or durability," said Carl Pinto, vice president of product development, Toshiba America Information Systems, Inc., Digital Products Division. To connect with other devices, the Excite X10 tablet comes with all essential interfaces and ports onboard, including micro-USB and HDMI® ports, a micro-SD slot to share content and files with other devices, plus Wi-Fi® and Bluetooth® connectivity. The micro HDMI port allows users to extend HD content from their tablet screen to a large screen HDTV. Front and back HD cameras provide convenient photo capture, plus 1080p video recording and conferencing. Stereo speakers enhanced with exclusive sound enhancements by Toshiba and SRS® Labs deliver superior entertainment capabilities. "We see the tablet as a key device in a connected home ecosystem, so delivering not just a thin and light design, but one that also incorporates built-in ports, is a step toward making the connected home a reality," added Pinto. Powered by the Texas Instruments OMAP™4430 mobile processor3, the Excite X10 delivers smart multicore processing power without draining battery life. The multicore design features two ARM Cortex™ A9 cores plus dual-channel memory for greater speed and efficiency, offering smooth web browsing and multi-tasking plus high definition video and entertainment. The Excite X10 tablet is powered by the latest Android™ platform technology. Also included is a full suite of familiar Google™ Mobile Service applications, including the Android Market™, YouTube™, Gmail™, Google Maps™, Music, Videos, plus select third-party applications including Netflix™.